​With so much available traffic sources out there, it can be a daunting task knowing which traffic source works best for which offer. And in fact, a lot of traffic out their will simply bankrupt you if you do not know what your buying into, and more importantly, which offer you should promote on this traffic. More often than not, I am asked by ordinary publishers for pointers on where to buy traffic, and if I thought this traffic will end up making them money. The truth is, as with any business, there are no guarantees for success. But with enough education and knowledge, I’ve seen publishers go from $100 a day in revenue to well in the 4 digits mark. By far, one of the best traffic sources when it comes down to actual quality of the leads. Ensuring that lead quality stays top notch not only will put you in good standing with the Advertiser or Network you are working with, but it will also ensure longevity for your affiliate business. A happy customer is a good customer, and if your traffic is performing well for the Advertiser, they will want to entice you to keep promoting and this will almost guarantee you recurring checks for as long as the offer/Advertiser are still around. As with any other traffic sources, finding an actual list that has not been saturated to death is quiet a bit of a challenge. One of the best lists you can get is one that you collected via your site by prompting people to optin to your newsletter. If this is not an option, or if your list is not large enough, consider doing a bit of research and getting a few sample lists (which most list owners offer for free) before you commit your money to any one company. Getting sample lists will get you to test the waters before you start shelling out some cash. 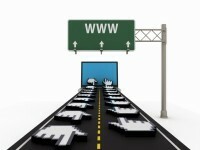 Running Display traffic is a hit or miss for many publishers. While some have found great success running Display ads, some have not been so fortunate. The key is knowing what kind of traffic you are buying. Do a bit of research. Ask the display network what kind of channels/niches they can target to, what demographics typically do well for them and even go as far as asking them what offers have traditionally done well in their network. Most companies will give you this information to earn your business. Once you have this info, you can than speak with your Affiliate Manager on the CPA side, and ask them for their top converting offers that matches the demographics and niche that does well on the Display network. Make sure to pick a few offers to run instead of just one. Diversify the offers and run them simultaneously. Start with a small budget to protect yourself, and see which offers converts the best. Once you have this info, you can than further optimize and pause the offers that did not back out for you. You might lose a bit of money in the beginning, but once your offer is fine tuned, it’s all profit from that point. Another popular traffic source that can get you up and running in minutes is search. There are a few 1st tier and 2nd tier search engines that you can choose from, including Google Adwords and Microsoft’s Bing. The key to success here is keywords and optimization. Choosing the right keywords will either make or break your campaign. Having the right kind of keywords not only will effect how much money each keyword costs you, but it will also effect your quality score. When you are promoting on Google for example and your keywords are not converting, this will push your quality score down to a point where either you are paying too much money for that keyword, or your ad is pushed all the way down where it cannot be seen, even if your bid on that keyword is among the highest. Start off with 50-100 keywords and work your way up. Keep removing keywords that do not convert for you, and focus on the ones that are making you money. This will not only improve your quality score and how much your paying per keyword, but it will also fatten your bank account. Once the offer is making you a profit, ramp it up and start focusing on adding another campaign for another offer. Diversity is key. Offers always pause in this industry, and when it does, you still have a few other profitable campaigns running, so you won’t have to worry about being unemployed for the next few weeks. As I mentioned before, there are many more ways to generating traffic, but we’ll keep these for another blog.